Last week all kalmstrom.com products that have the SQL Server database option were tested for SQL Server 2014 CTP1, and our tester found no issues at all. I am happy to announce that they are fully compatible with next version of SQL Server. 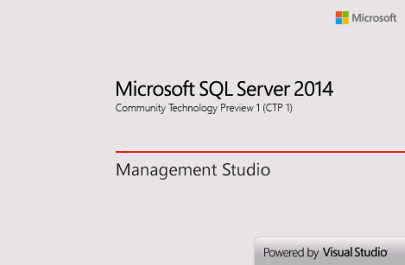 A key feature of SQL Server 2014 is the In-Memory OLTP. This memory optimized OLTP database engine gives better performance, as it works with in-memory data instead of disk-based data. In-Memory OLTP highly improves transaction processing speeds and reduces latency. In addition to this, the SQL Server 2014 has advanced features for Business Intelligence. As expected it is also more adapted to Microsoft's cloud platform Azure than earlier versions. Please refer to Microsoft for more info about features in different versions of SQL Server 2014. The kalmstrom.com applications use a database or a SharePoint site for sharing and storage of data. For the database we give two options: Access or SQL Server. We only recommend the Access database for small business with few users and limited amounts of data. In other cases we advise users to upgrade to an SQL Server database, which gives much more possibilities and a huge storage capacity. The SQL Server is a database management system designed to have many hundreds of users accessing it at the same time. It has advanced database administration tools for scheduling tasks, configuring security accounts and roles, transferring data between other sources and much more. The kalmstrom.com Lead QA, Vijayant Rimza, keeps track of any new versions of the products used with our applications, and when a preview has been published he always tests our applications with it. This way we will know about any problems long before the public version of the updated product is released, so that we can inform users and start solving the issues in a timely manner. Now, when we have the Community Technology Preview of SQL Server 2014, Vijayant has been able to test those kalmstrom.com solutions that can use Outlook in combination with a database: Calendar Browser, for resource booking, Folder HelpDesk, Kanban Task Manager, TimeCard and our knowledgebase KBase. The result was excellent, as the current versions of the applications are already compatible with SQL Server 2014. This means we can concentrate our development efforts on other enhancements, something we will be happy to do!